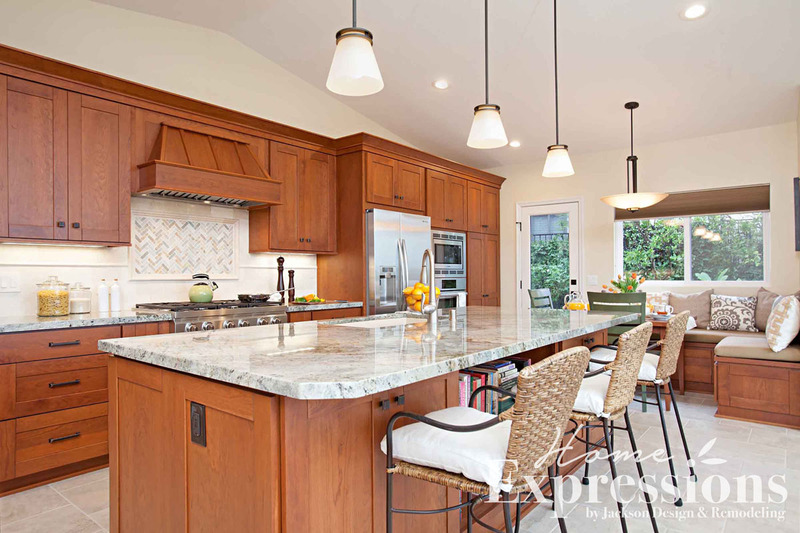 In this bright and welcoming kitchen with a view, the visual space and flow were significantly enhanced to take advantage of natural surroundings. 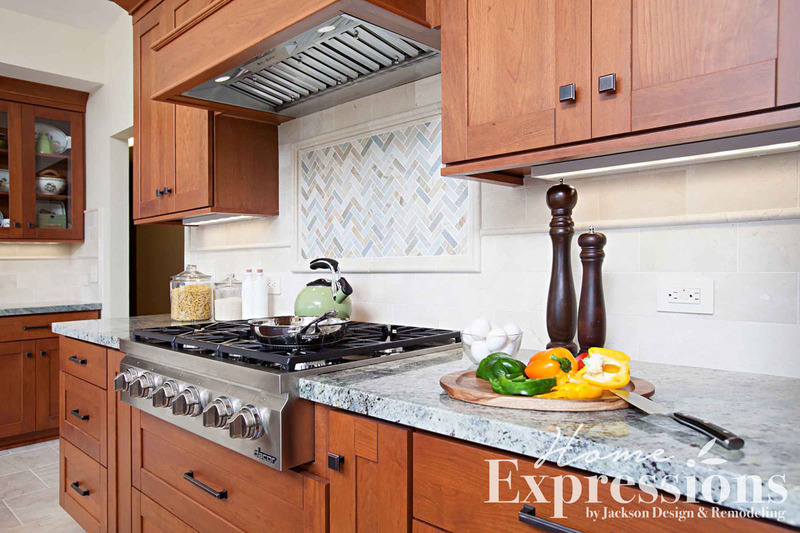 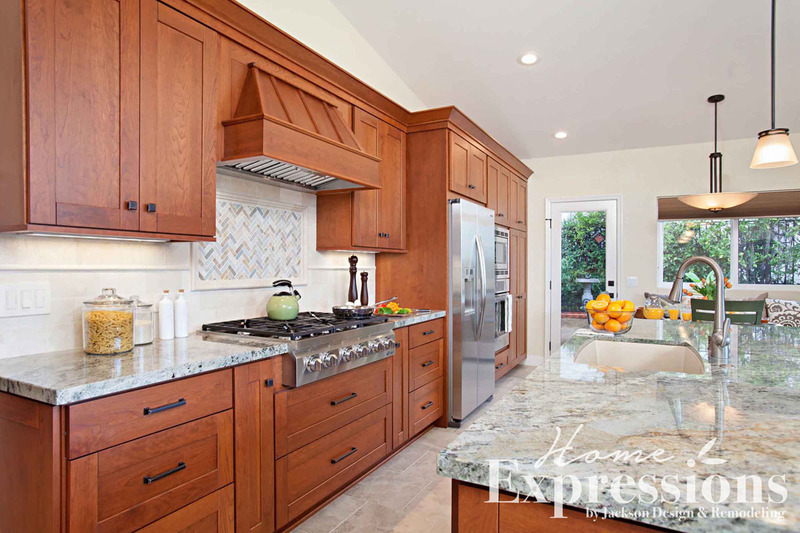 Shaker-style cabinetry with an integrated wood stovetop hood presents a clean and classic look for clients who appreciate early American style. 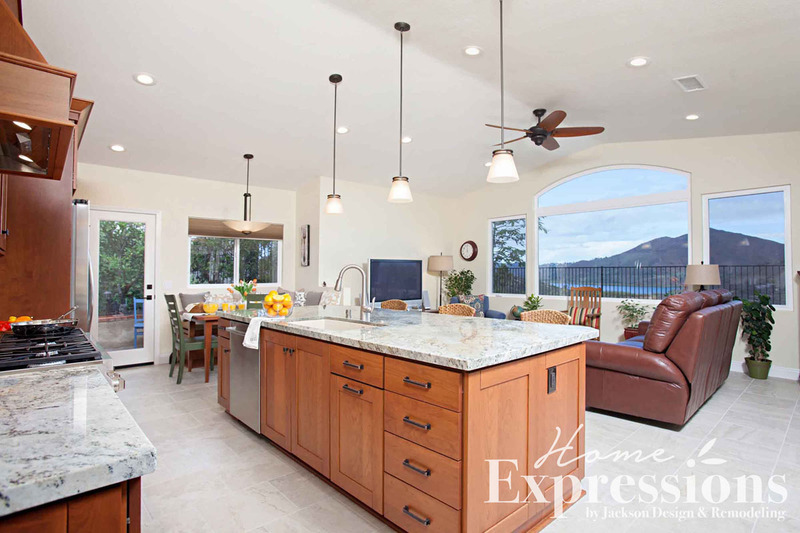 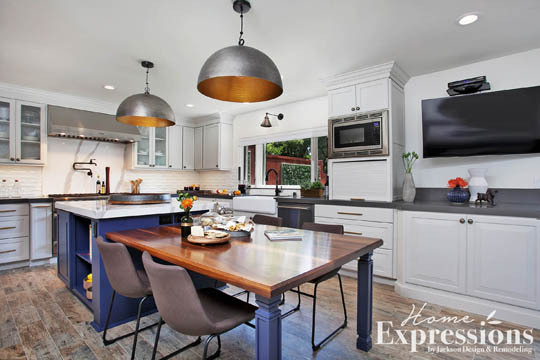 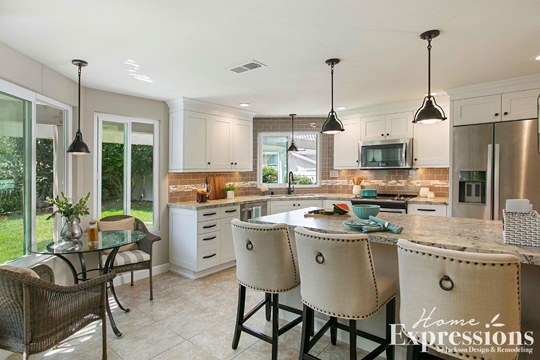 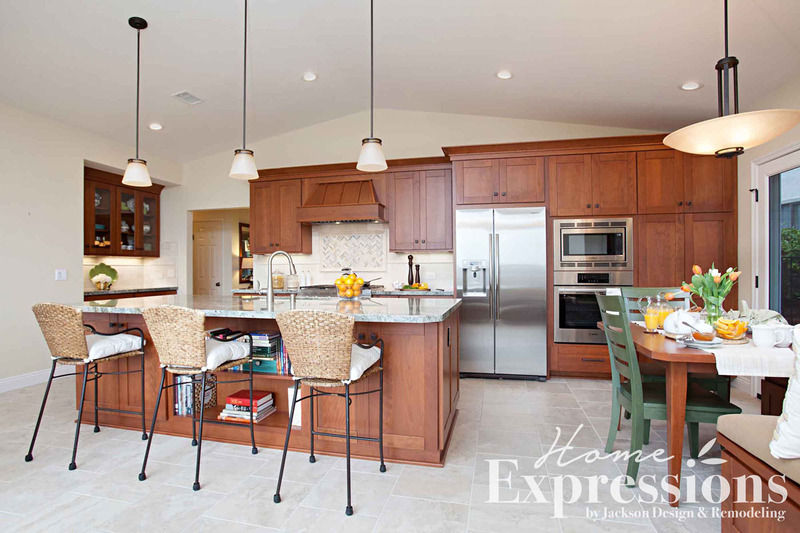 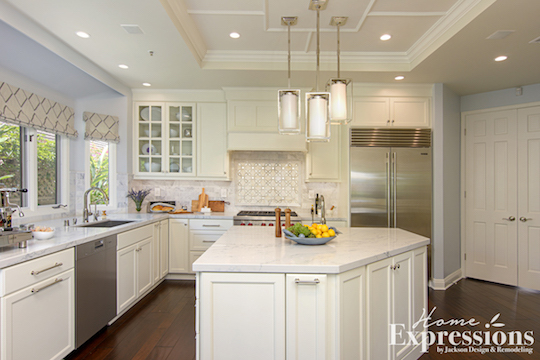 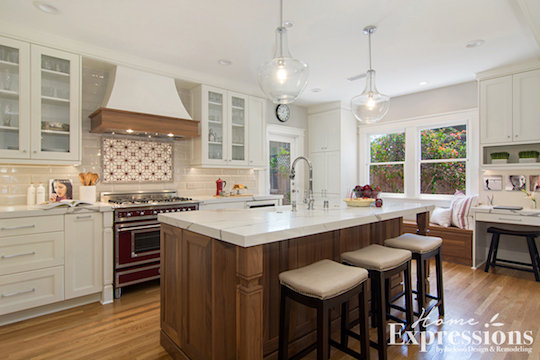 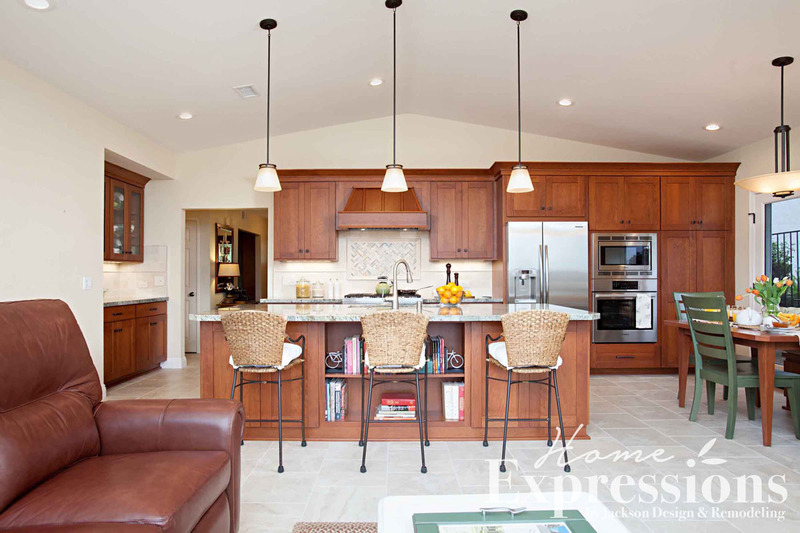 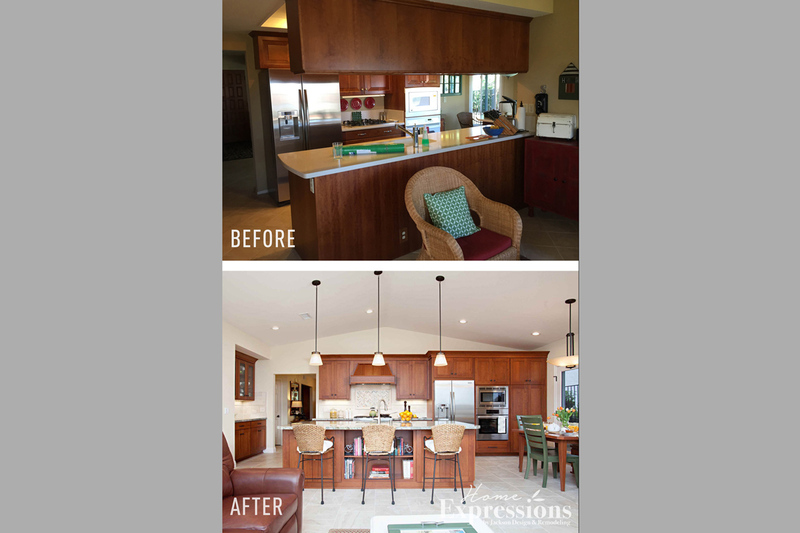 An island and a breakfast nook with a custom built banquette vastly expand dining and entertainment options.